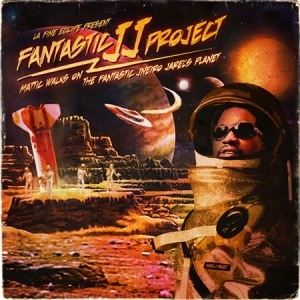 The Fantastic JJ Project features Mattic, a rapper who resides in Normandy, France rhyming over beats from Dr. Who Dat?’s 2006 album Beat Journey. (Don’t worry — he rhymes in English.) It was apparently made with Jneiro Jarel’s blessing. If you’re skeptical about its quality and don’t want the download cluttering your desktop, preview several tracks on a MySpace page set up specifically for the project. 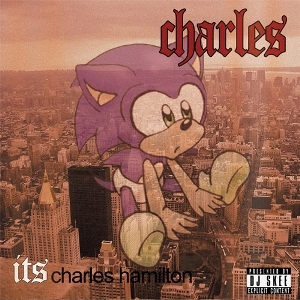 Hotly tipped rapper Charles Hamilton has been on a “virtual tour” for the past few weeks, issuing a mixtape every two weeks on a different blog. Last week he dropped It’s Charles Hamilton, made in conjunction with DJ Skee, on 2dopeboyz.com.The next one arrives on Tuesday, October 28; you can follow the rest of Hamilton’s schedule on his website. 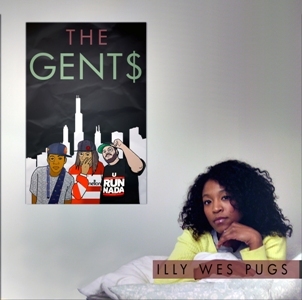 While trawling through 2dopeboyz.com, I noticed a new mixtape featuring the Gent$: Pugs Atomz, Wes Restless and Ill Legit. I found lots of other stuff, too, but since I’m not a super-biter I’ll just recommend you take a walk through the 2dopeboyz.com blog yourself. And for more info on Pugs Atomz, read this interview Max Herman conducted for Plug One earlier in the year. The Gent$ ( Pugs Atomz, Wes Restless, & Ill Legit) present 13 cuts of solid Chicago Hop, with production from Maker and the Opus. Filled with braggadocios, and comical satire while still walking that fine line of respected lyricism and word play. The sound track is city slick, Michigan ave. afternoons at the hotel bar….getting girls, talking sh*t, and insight chased with a pale ale. This entry was posted in Reviews and tagged Charles Hamilton, DJ Skee, Dr. Who Dat?, Jneiro Jarel, Mattic, Mixtape Madness, Pugs Atomz, The Gent$. Bookmark the permalink.